A small update has been pushed to the PBE, including a texture rebalance for Arctic Ops Kennen and the addition of Battle Boosts to Nemesis Draft! For our upcoming Featured Game Mode, Nemesis Draft, we're looking to re-activate 'Battle Boosts' which saw their first outing back in One For All: Mirror Mode.For those of you who might not remember, Battle Boosts let you temporarily unlock all currently available skins for yourself and your allies. The purchaser of a Battle Boost will now also get a one game 200 IP boost, while the rest of the team receives a 100 IP boost. 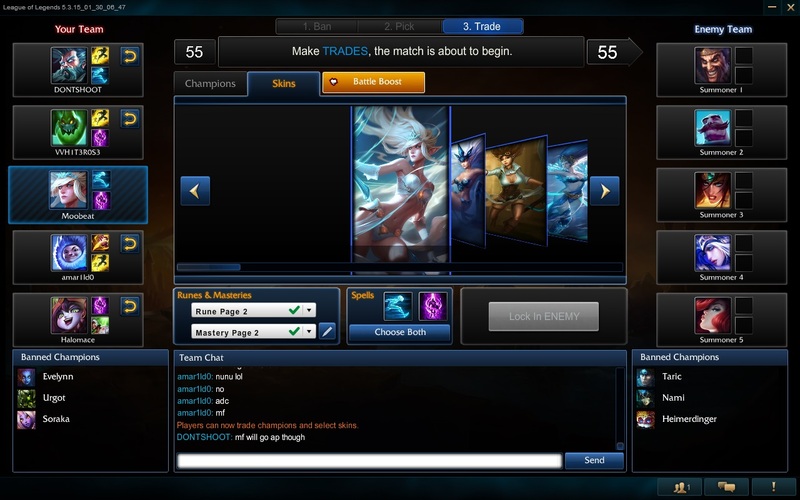 For testing purposes on the PBE, we've left the price at 1RP. When Nemesis Draft goes live, Battle Boosts will be available for 125RP (down from the original OFA:MM price of 150RP). Of course, on PBE, everyone has almost everything unlocked already, so the impact will certainly feel diluted, but we're looking to catch any bugs before we roll it out. Feedback welcome on both this version of Battle Boosts or other features you'd like to see added!" 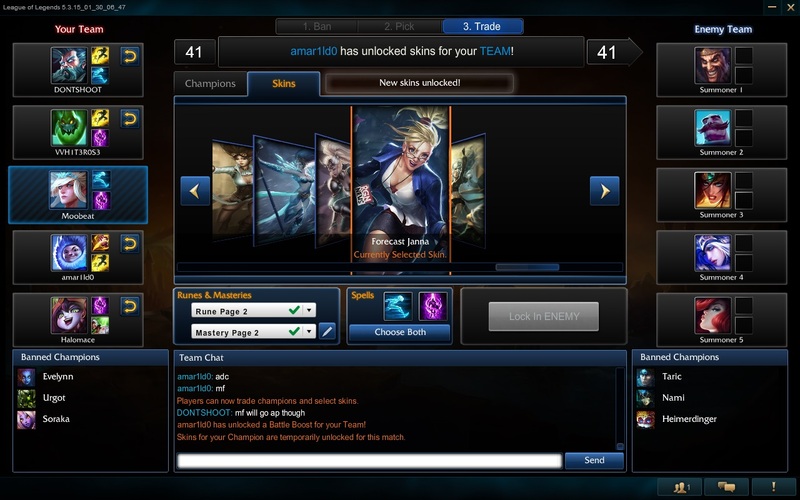 For comparison, a two win IP boost currently costs 160 RP and gives +~200 IP (~+100 per match) vs the Battle Boosts single game boost of 200 IP plus the boots and temporary skin unlocks for friends. Following texture rebalances for Kennen and his other skins in an earlier patch this PBE cycle, Arctic Ops Kennen has also received a texture rebalance in today's update. Check out our comprehensive post for the 5.3 PBE cycle for a better look at Kennen's texture rebalance! Don't forget to check out the Heartseeker Ward skin, which was added last night in a re-deploy of the 1/29 PBE update! Check out THIS PAGE for a comprehensive list of the new content in this PBE cycle or catch up with the individual update links below ! 1/27 PBE Update: Heartseeker Varus, Marauder Ashe & Warwick, Inquisitor Nautilus & Sivir, and more!